March was a chilly month and therefore great for slow cooking! 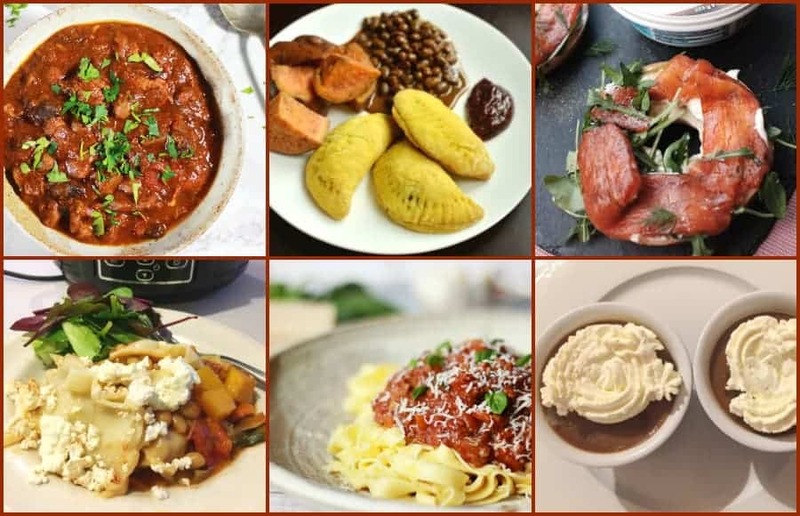 We had six amazing slow cooking recipes for March for the Slow Cooked Challenge, including not just one but two vegan and one vegetarian recipe, as well a delicious indulgent pudding, together with two meaty main courses. 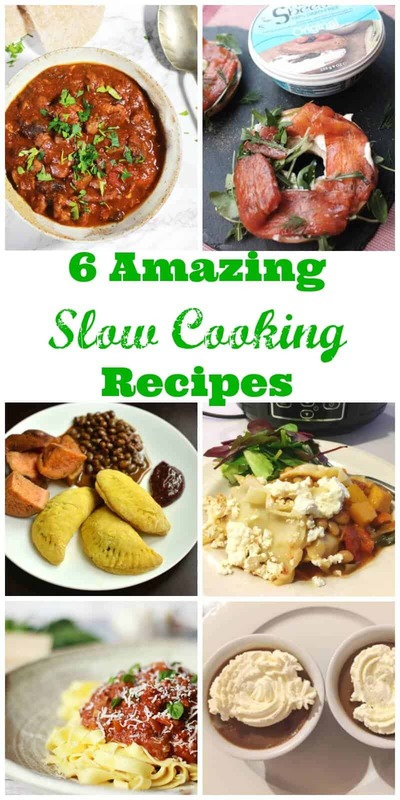 So it just goes to show that slow cooking doesn’t just mean casseroles and stews. Do click the links and share or save any recipes you want to try out (Pinterest is great for that!). 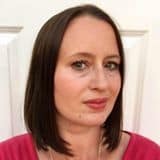 At the bottom of the page is also the April Slow Cooked Challenge linky if you are a blogger and want to join in, or for some slow cooking recipe inspiration if you are a reader looking for new cooking ideas. I’ll do a full roundup of the entries at the end of April. 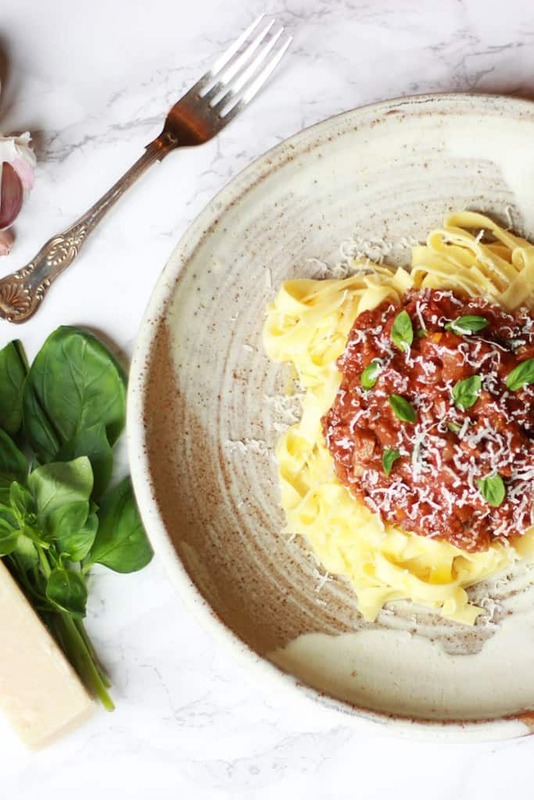 Debbie from Proper Foodie’s Italian style slow cooker ragu is rich and tomatoey, and served with tagliatelle, fresh basil and a good helping of parmesan. Isn’t it amazing what you can do with a slow cooker, it looks so fresh and bright! 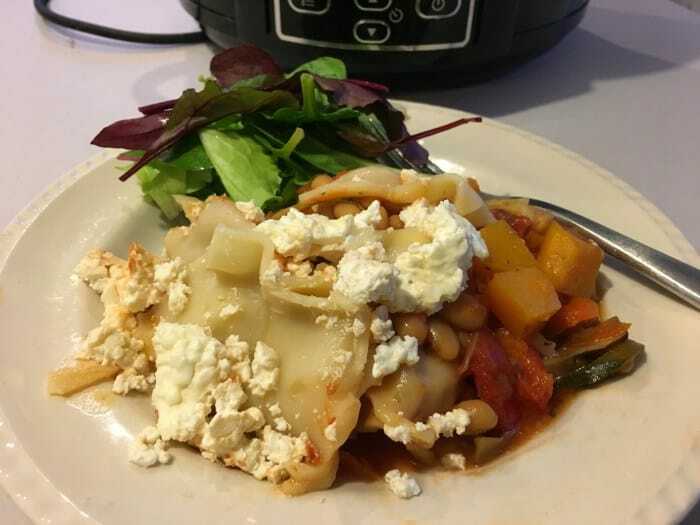 Jenny from Mummy Mishaps’s recipe for slow cooker vegetable lasagne, which is syn-free on Slimming World, is packed full of vegetables and uses baked beans instead of a cheese sauce. Such a delicious and healthy vegetarian option! 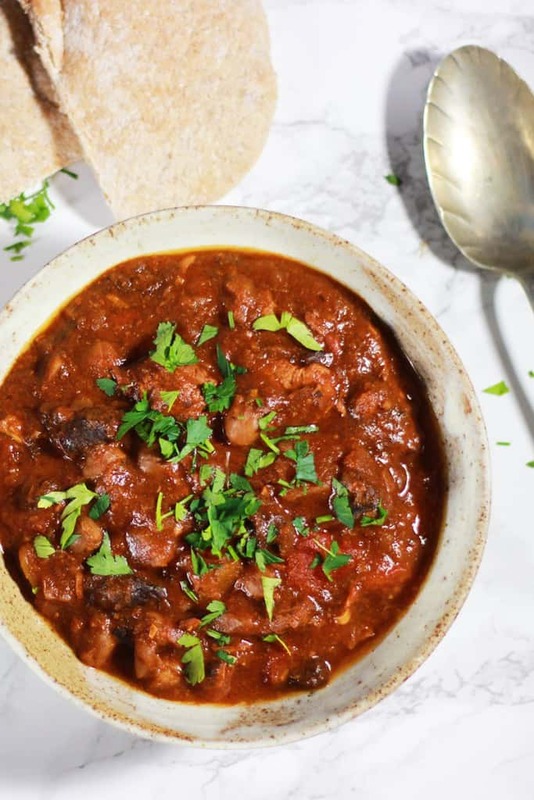 Janet from The Taste Space sent over her slow cooker miso molasses baked beans, such a wonderful combination of flavours. 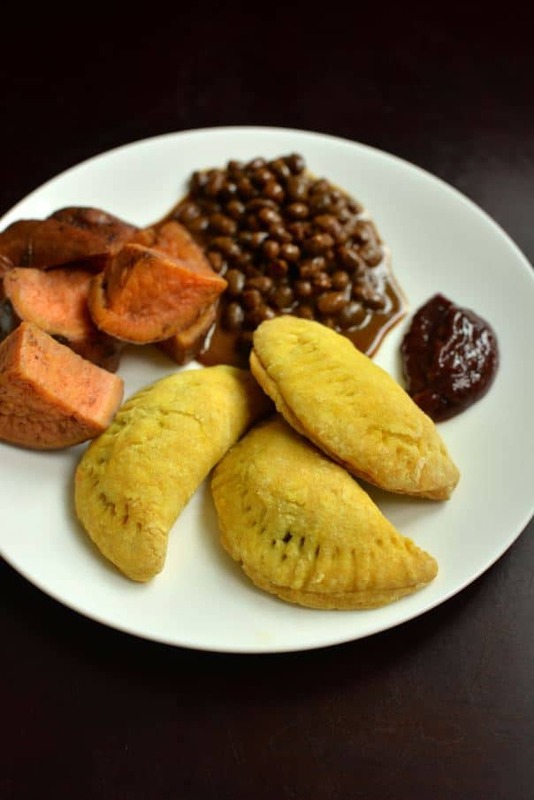 Don’t they look delicious served here with her Jamaican patties and roasted sweet potato. I believe this is vegan, and a great option to try for Meat Free Mondays. Proper Foodie is also the source for this gorgeously rich turkey, squash and prune tagine. I just love the deep colour of this dish, I am sure it is a perfect winter and spring warmer! 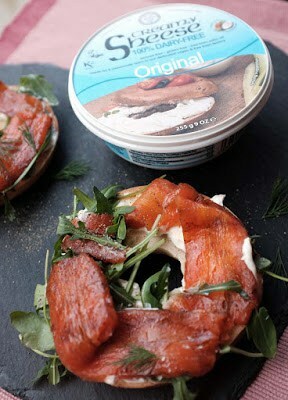 With an amazing vegan recipe, Shaheen from Allotment 2 Kitchen sent over her vegan smoked carrot ‘salmon’ bagels and cream cheese. I would never have known that the ‘smoked salmon’ is actually carrots roasted slowly in the oven with salt and then marinaded for a couple of days for the flavours to develop. Just amazing! 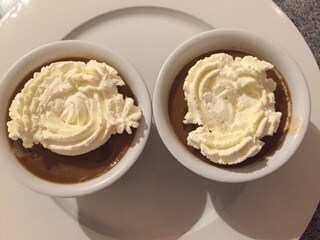 For dessert, Caroline from Caroline Makes sent over this deliciously indulgent slow cooker butterscotch pudding featuring the flavour of one of my favourite childhood sweets. This recipe makes enough for two servings which is ideal for a small decadent treat! 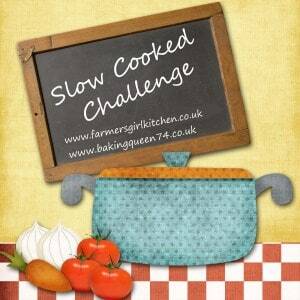 If you are not familiar with the Slow Cooked Challenge, it is a monthly blog challenge dedicated to making recipes using a Slow Cooker/Crockpot or by slow cooking in the oven, aga or other slow method of cooking. There is no theme, any kind of slow cooked recipe is welcome! I look forward to seeing your slow cooked dishes! 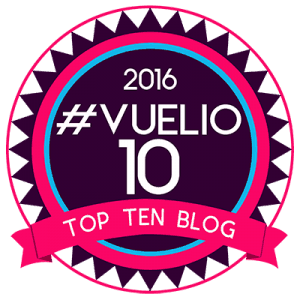 A round up of all the entries will be posted on the host’s blog at the end of the month. thank you for including my lasagne – I need to work on my presentation lol. Thank you so much for hosting Lucy, so many yummy recipes, The molasses beans and the butterscotch pudding have me both excited. I hope to join in again this month, not sure with what yet though.